Unlocking Detention has been the result of so many different people’s efforts. In this #Unlocked18 blog, Mishka and Red at Freed Voices (@FreedVoices) interview Lisa Matthews, Coordinator at Right to Remain, about her experience of co-running Unlocking Detention in 2015. While reading the blog, have a look at our timeline which shows the history of Unlocking Detention. We are Mishka and Red from the expert by experience group, Freed Voices. Our group has been involved with and contributing to Unlocking Detention for five years now. We made variety of contributions such as blogs, poems, podcasts and drawings. 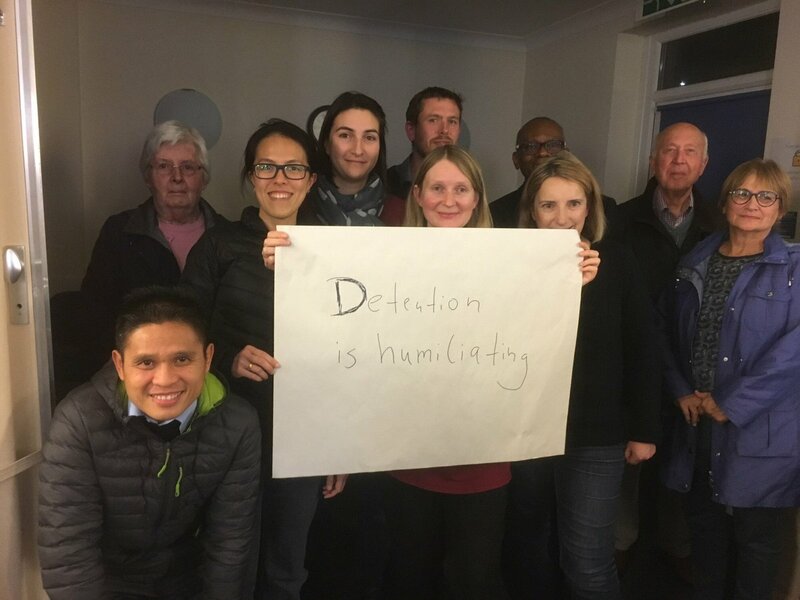 We believe that Unlocking Detention is a distinguished endeavour that is shining a beacon of light uncovering the hidden world of immigration detention in the UK. We are aware that you had been involved with Unlocking Detention 2015. We would like to ask you a few questions about your experience. We look forward to hearing from you. Best wishes, Mishka and Red. I am a coordinator at Right to Remain, which is a coordinating member of the Detention Forum. Before joining Right to Remain in 2011 (we were then called NCADC), I worked in Cairo, providing psycho-social support to refugees. 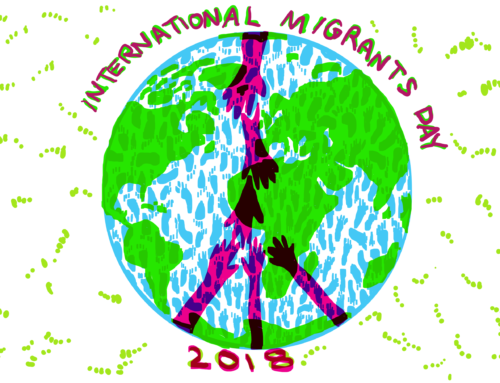 I have also worked in mental health community outreach with London’s Somali and Bangladeshi communities, in asylum and immigration legal casework, in integration case management with refugees, and in asylum advice. In the first year of Unlocking Detention, I helped with the tweeting on behalf of the Detention Forum and then went on to co-run the project in 2015. My answers are as below. 1) What is/was the most fascinating and also meaningful element to you about Unlocking Detention 2015? Perhaps the most memorable aspect of #Unlocked15 was its alignment with parliamentary advocacy. Unlocked was taking place as the 2015 Immigration Bill made its way through parliament. 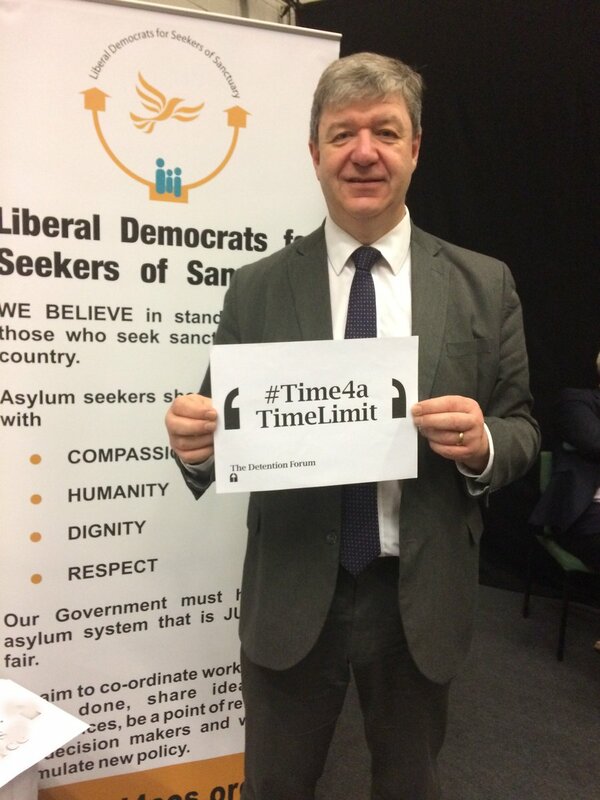 With very little notice we found out that an amendment had been proposed to the Bill by Lord Ramsbotham, that would introduce a 28-day maximum time limit on immigration detention. In just a few days, we managed to produce a campaign image and set up a system for people to email their MPs to vote in favour of the amendment. We we delighted that thousands of people contacted their representatives in such a short space of time, and that Unlocking Detention provided such an accessible and positive platform for that. Ultimately, the amendment was defeated, but the pressure on the government was such that a compromise amendment was passed which introduced automatic bail hearings after four months for some people in detention (which the Home Office is now saying they will reduce to two months as a pilot). 2) Why do you think that the involvement of experts by experience is/was important and how that changed the overall context of Unlocking Detention 2015? My answer to this could also be my answer to question 1 – the involvement of experts-by-experience has always been one of the most meaningful parts of the project. There were some really memorable pieces by experts-by-experience in #Unlocked15. I still think about the Three Scenes in Campsfield piece. It’s such an affecting piece and is so poignant now we have the fantastic news of Campsfield closing next year. And a Letter to Colnbrook, still so powerful. Both of these pieces came from Freed Voices members, who are pioneers in the field of expert-by-experience campaigning. And 2015 was the first year we did live Q and As with people currently detained in the detention centre that is the focus for that week. These were conducted by my good friend Ben du Preez (ex of Detention Action), who was my partner in crime on the project, and we did some nice reminiscing about #Unlocked15 to help me answer these questions! I still think that the Q and As are the most powerful aspect of Unlocking Detention. It’s a real chance to connect people outside of detention with those detained, get the voices of people detained out (and engage a wider variety of experts-by-experience), and hear about simple but important every day things about the reality of detention and you get a really human picture. 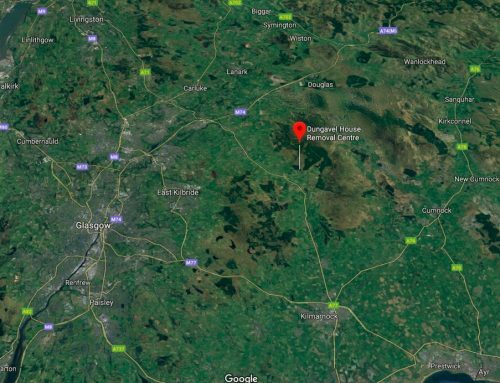 1) To raise awareness in the general public about Immigration Detention is one of the goals of Unlocking Detention, which ways are being used to achieve this and how effective have they been? I think one really effective way is the Q and As that I mentioned above – those these are not easy to do, because communication with people in detention is so (deliberately) difficult. I also loved the way the public engaged with the visual part of the tour in 2015 – which was asking people to send pictures in of what they would miss if they were detained. It was a great creative exercise and also good for creating bonds of empathy, as people had to stop and think about what it would be like, being detained. You also got a nice insight into people’s personalities and lives! I also liked running Unlocked workshops in different communities and at different events, as a way of taking the project beyond just the online world. 2) What have been the main changes that you have noticed since Unlocking detention 2015, have they been positive or negative and what needs to be made with urgency? 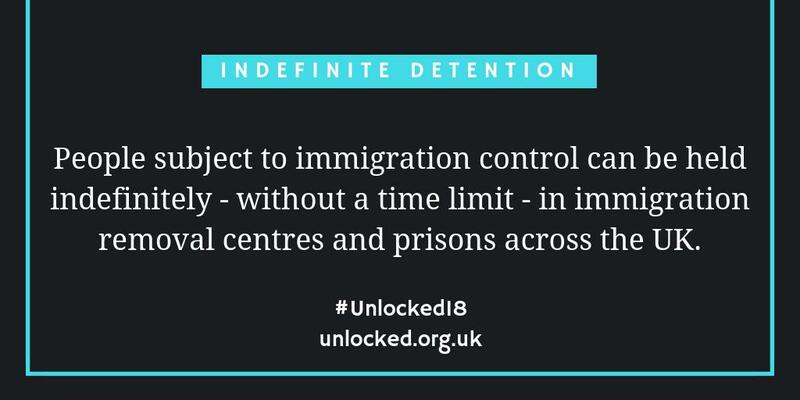 I think Unlocked has been part of the growing anti-detention movement – there’s a lot more people now who know, care about and are taking action against immigration detention. There’s been lots of different campaigning happening and I think we need that variety – arts and creative events like the Channel Project recently in Bristol, protests at detention centres, legal challenges, community organising in places that don’t have detention centres nearby but whose residents are affected by detention. The UK urgently needs to reduce the use of detention – in my view, once this has happened (and it is long overdue), decision-makers will see that the world doesn’t fall apart when you don’t detain and it will be easier to make the case for ending detention altogether. I would like to questions for you both as well, and I look forward to reading your answers. Thank you for your insightful answers and for your questions as well. 1) What do you think are the most important barriers/obstacles to achieving radical detention reform? I think there are many reasons: the lack of awareness around this issue among the wider public including the politicians themselves as well. Also, the current political climate; overall attitude towards migration and false narratives around immigration detention that have been difficult to break. I also see the lack of interest by the government to explore and invest on alternatives to detention as one reason. Achieving detention reform eventually means that less people are in detention and this goes hand in hand with alternatives to detention. But I am glad to witness that this is changing. There is a cultural change within the Home Office itself and now the wider public is more aware of the realities of detention. As a result, now we are seeing a positive trend towards reform. 2) In your opinion, what makes Freed Voices such effective advocates? Is there something more than ‘just’ being experts-by-experience? A traditional way of involving individuals with direct experience of the issue often involved activities such as turning people into case studies to play a role of victims, and solely to share their stories. Even though sharing your personal experience is important, doing ONLY this is not enough. Freed Voices have challenged this and have managed to change this approach, when it comes to how Freed Voices are involving in the fight against detention. This has resulted in a situation where now the Freed Voices have become a group of advocates with authority and competence as well – in addition to the credibility that is innate just by being armed with first hand experience of detention. This combination is very effective. 1) Do you think being part of Freed Voices has had a positive impact on other areas of your life, outside of detention campaigning? Yes, it certainly has. In my opinion, the impact of Freed Voices is so positive because the project not only engages with its members at a formal level. The commitment is serious and the aim is to support each other in our fight for improving not only ourselves but also others. Freed Voices is not only about the messages but also about an effective and convincing way to deliver those messages. To do this, you also have to work with the messenger, with his spirit, body, and soul. Freed Voices do all these things and more. At the end of every Freed Voices session, I don’t feel tired; instead, I always feel positive and energized. This has a positive influence in many areas of my life outside of detention campaigning as well. 2) If you were the Home Secretary, what change to detention would you make and why? This is a tough question indeed. The Home Secretary is responsible for keeping the “House” in order but this should be done in accordance with the law. In relation to detention centres, the first step I would take is to introduce a 28 day time limit to reduce the use of detention in both time and scale. The nature and the purpose of detention centres have been badly eroded and this is something that affects not only the image of the Home Secretary but also the Government and the whole country in general. Fixing this would be one of my priorities as well. Whilst detention still exist, I will implement a proper and fully independent mechanism of quality control, to make sure that these facilities meet the minimum standards and that everything is done in accordance with and respecting the law. Obviously, the most effective quality control body would be one that consists in undercover members that would go into the detention centres as if they were detainees. I am sure that the outcome would be quite revealing. One more thing: every immigrant should have access to support to prevent them experiencing and getting in trouble; usual prevention is better than cure.